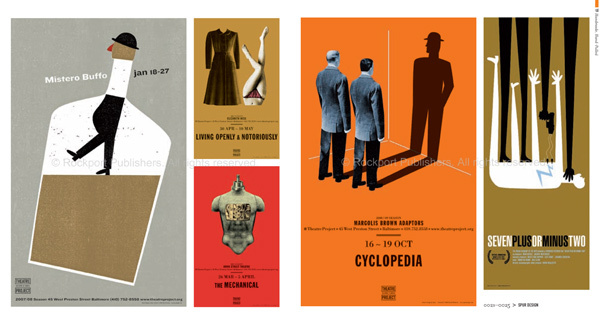 Over a dozen of my posters were included in the new book 1000 Indie Posters by John Foster, author of New Masters of Poster Design. The collection is superbly curated and features inspiring and eclectic work by such talents as The Heads of State, Art Chantry, Post Typography, and Exit10. You can buy the book online right here. Limited edition prints of the posters are available at Spur Stor.